With a wave of this silver 'Bride to Be' wand, you'll be amid a magical hen party to remember. 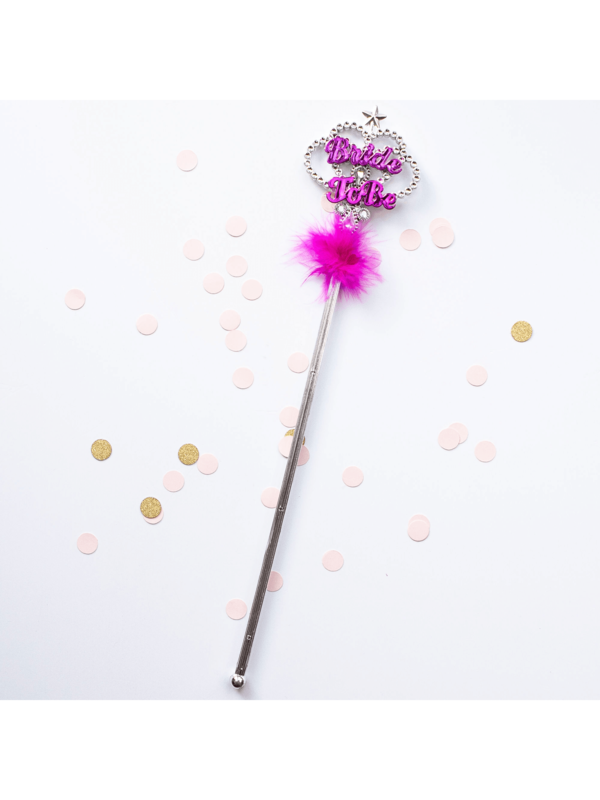 Complete with silver gems and pink fluffy trim, this wand is the ideal accessory for a glamourous bride on her hen night. Make her wishes come true. A special memento, the bride will love this 'Bride to Be' wand as she looks back on her hen party for years to come.